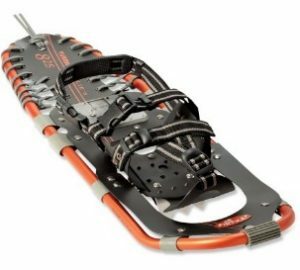 Not long ago I bought some snowshoes and I am completely stoked about it, though I haven’t used them yet. I don’t know where I’m going to use them and I’m not sure when I’m going to use them. I haven’t yet considered some lofty goal like climbing a mountain with them. No snowshoe races or long wintry endurance trail hikes are yet in my mind. But I’m excited like a twelve-year-old! These snowshoes represent something emotionally significant inside of me; moving in a direction in my life for which I have passion. Anytime I have snowshoed, I have always felt alive! You know the feeling; when you are so immersed in something you think of nothing else. You love it so much you have no sense of time. You are in the flow! I do enjoy having crazy-fun-extraordinary goals in mind. I love the challenging stuff and making the big dreams come alive! However, just the act of engaging in things I love that move my life forward is fulfilling in and of itself. I snowshoe simply for the joy of snowshoeing. I immerse myself into life for its own sake. Like most everyone, I have at times found myself getting stagnant, bored and feeling stuck. At these times I find it helpful to do something to inspire me forward; to unlock me; to move me into the flow. It can be so hard to start; to get past the resistance in my head and habits. Sometimes I really need to take that first step. Start doing! The snowshoe represents that start. It gets me excited! One time I decided to buy a nice, new, and for me, rather expensive bicycle. My thinking: if I invest into that caliber of a bike, I’m more likely to use it. It worked for me. There are lots of miles on that bike now. It’s been to a lot of fun places. I even achieved a few bicycling goals that were far reaching and exciting for me. Oh, and on the way I lost some weight, got healthier, renewed my love for endorphins, and had great fun. But first, I had to get myself started. So, my friend! Find the something that unlocks the passion in you, that excites your spirit and jump starts you forward! What could be the portal to that special flow in your life? To that “unlocking” of your passion? That “something” might be personal; it might be professional; it might be an act of service. Whatever you choose, doing what you love is its own reward. Ignite your best energy! Find your flow! You never know – epic achievements might happen!